South Africa’s ruling party pledged to ensure the country’s black majority secures a bigger stake in the economy and do more to create jobs, as it seeks to claw back support lost in the wake of a succession of scandals implicating its leader, President Jacob Zuma. The ANC marked the 105th anniversary of its founding at a rally on Sunday at the Orlando stadium in Soweto, near Johannesburg, where it outlined its policy priorities for the year. The party packed out the 40 000-seat venue. The ANC’s support slipped more than eight percentage points to a record low of 54,5% in local government elections in August, with the party ceding control of Johannesburg, Pretoria and Port Elizabeth to opposition coalitions. Voter disenchantment has centred on Zuma, a 74-year-old former intelligence operative whose second five-year term as ANC leader is due to end in December this year. 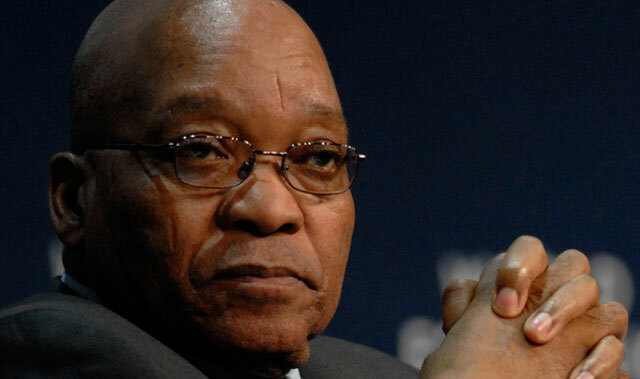 Zuma has faced calls to resign since the constitutional court ruled in March that he violated his oath of office by refusing to repay taxpayer money spent on his private home. A campaign to remove him gained impetus on 2 November, when the graft ombudsman released a report suggesting that he may have breached the code of ethics in his relationship with members of the wealthy Gupta family, who are his friends. It detailed allegations that the Guptas may have influenced the appointment of cabinet members and received special treatment for a coal business linked to the family and Zuma’s son, Duduzane. While Zuma has denied ever intentionally breaking the law, disgruntlement with his leadership is rife within the ANC. In November, a number of members of the party’s national executive committee, its top leadership structure, joined scores of party veterans in calling for his ouster. Zuma didn’t directly refer to his travails in his speech, saying only that the media should report fairly and factually and that ANC members should show integrity. He also highlighted plans to implement a national minimum wage, improve working conditions in the nation’s mines and improve access to land, education and health services. The ANC acknowledged that internal divisions are hindering its ability to provide decisive leadership. The Democratic Alliance, the main opposition party, said Zuma’s speech showed the ANC was out of touch and incapable of addressing its internal problems. Radical economic transformation for SA begins with regime change, nothing else will work while the ANC continues with its looting and overall service delivery uselessness. Yes, because you zommer have f@#$@#ed it up! We need to get rid of you, put you in jail with all your other corrupt comrades and let people who knows how to run a country, run it. I wish we could get Obama for 4 years in SA..